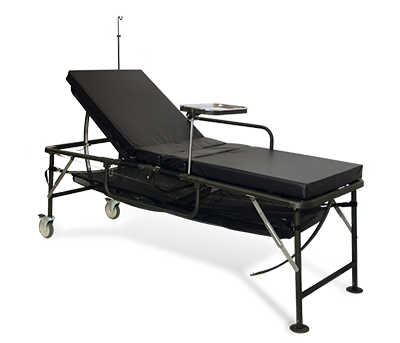 Strong aluminum frame, casting end rails and welded legs. 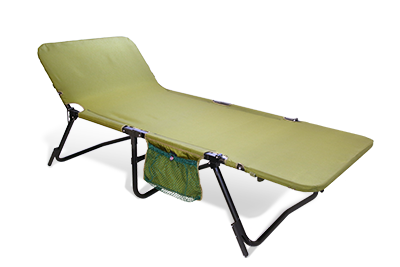 Adjustable head section, bed folds in half. Installed with four feet pads and removable BLACK MESH COVERING. Finish Color: optional powder coat or clear anodized. 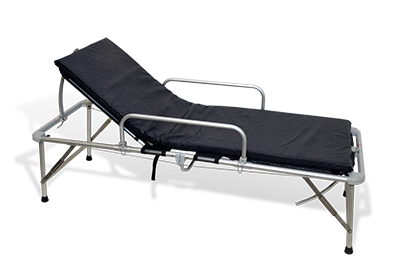 Accessories: Rotating side rails, IV Rod, under mount shelf, 6” caster wheels. 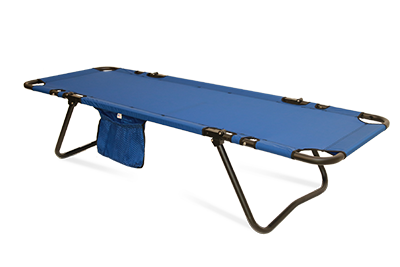 Pole Stretcher folds lengthwise with securing straps and includes two (2) attached polypropylene restraints. 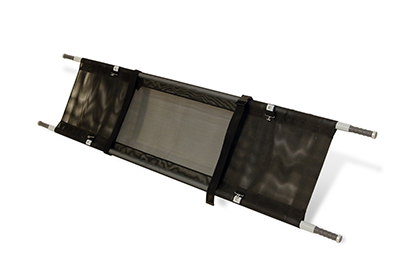 Features heavy aluminum frame with black mesh cover that resists stains and bodily fluids. Optional Nylon or Black Mesh Material. Includes side pocket for personal items. 2 security straps, 1.5” aircraft-grade aluminum poles. Easy to clean mesh. Folds in half. Hinged to fold compact. Collapsible 5” long-grip style handles made from Delrin plastic. 1-1/2" aluminum tube. 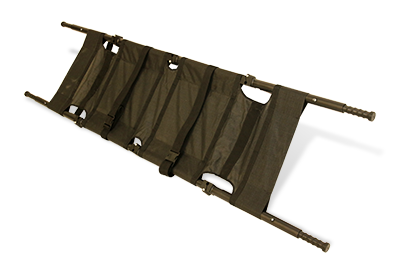 2" wide nylon patient litter straps across shoulders and legs to secure patient safely during transport, with buckle closures. Cover material: black mesh for easy cleaning. 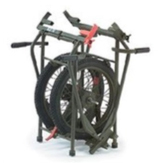 Works with all platforms including: Brenner Wheeled Litter Carrier NSN 6530-01-591-9636, Brenner Litter Support Stand, NSN 6530-00-660-0034 Brenner Back Rest, NSN 6530-00-299-8353. Stitched in pocket that holds a mylar thermal blanket for emergency use. Custom backpack accessory. Aluminum Frame with100% nylon cordura cover. Adjustable foot section and head section, folds in three. Lightweight and durable. Easy open and close, portable, and no detachable parts to lose. Includes side pocket for personal items. 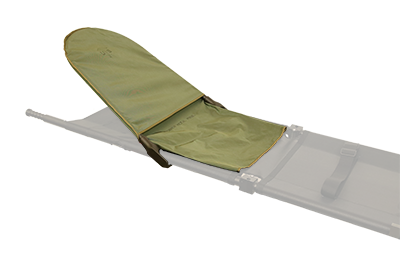 The Wheeled Litter Carrier is a lightweight, stable wheeled device that holds and carries a standard litter and a patient. Attendant operated. 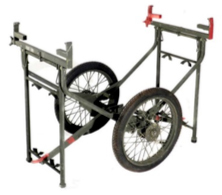 Foldable/Collapsible legs on each end to support litter in parked position. Large flat free wheels.